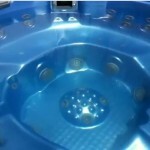 Popular hot tub accessories can increase enjoyment of the home spa. The most basic and necessary accessories include a good hot tub cover. Even if the spa came with a cover, a thicker winter cover may help save energy, especially during cold winter months. Spa covers are many times available with free shipping, so getting a 4 inch thick or even 5 inch thick cover does not have to cost alot. Hot tub filters should be replaced annually and inspected every couple of weeks and cleaned as needed. Keeping the filter in good shape will help keep the water chemistry balanced and the occupants safe. Hot tub filters come in many different shapes and sizes. They do not have to be bought at retail price from stores since the secret code is many times etched or written on the end cap of the filter. With that number in hand, it just becomes a search for the best possible price. Note there are differences in filter media quality on the market, but the filter is a disposible item no matter what brand is purchased. The square footage of a filter refers to the amount of paper or filter media that is packaged in the form of pleats. Generally the more pleats a filter has, the larger the square footage of the media. Having more filter paper means more filtration power, so a 50 square foot filter will have half of the filter paper than a 100 sq. ft. spa filter, even if the filter size and shape is identical. The numbers on the end caps can refer to Pleatco or Filbur numbers or some other brands. Cross reference guides are available to help find the best replacement filter. When in doubt, the filters can be measured instead. When measuring a filter, measure length and width or outer diameter. Then also measure the inner diameter of the center hole. Finally note any obstructions, strings or other irregularities about the filter other than the types that have center holes on both ends. When in doubt, order a single replacement filter first. Once the actual filter part is clear, they can be ordered in bulk and stored for use as needed. A recommendation is to use 2 filters. While one filter is soaking in an overnight filter cleaner bath solution, the other can be on duty. Also when one filter finally is too clogged to keep using, or if it starts to fall apart, the replacement filter will be on hand and no last minute scramble which usually leads to paying higher prices becomes necessary. 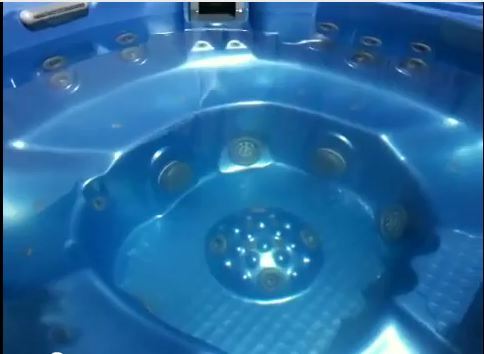 Keep the spa water balanced and save money on seals and other parts that can wear out early if the water is too corrosive because of improperly maintained ph.